Keppel DC REIT's 9M18 DPU of 5.47 Scts in line with expectations. Improving operational metrics with a slight uptick in occupancy rates, WALE of 8.5 years offers strong income visibility. Strong financial metrics to grow inorganically. 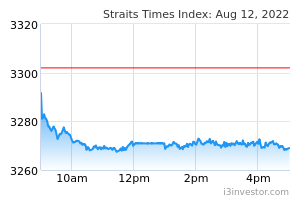 Target Price of S$1.52 maintained, BUY! Keppel DC REIT's 9M18 gross rental income grew by 24.7% y-o-y to S$127.5m mainly due to the contribution from an expanded portfolio (KDC Dublin 2 and KDC Singapore 5, maincubes DC) and higher power revenue from its Singapore properties. This was somewhat boosted by the appreciation of the EUR and GBP against the SGD. This partially offset the lower revenues from Basis Bay DC and Gore hill DC due to a bulk discount provided during renewal of the latter's lease a year ago and the weakness in the AUD vs the SGD. Other income of S$5.0m (S$2.5m higher y-o-y) due to rental top-ups partially offset lower ad hoc service and power revenues. Net property income (NPI) rose by a higher 24.6% to S$115.2m mainly on a proportionate increase in expenses (+26.0% y-o-y). On a quarterly basis, top line and net property income came in at 34% and 33.4% respectively. Operational metrics generally improved as occupancy rate rose marginally to 93.1% (vs 92.0% in 2Q18) with a long weighted average lease expiry (WALE) of 8.5 years. 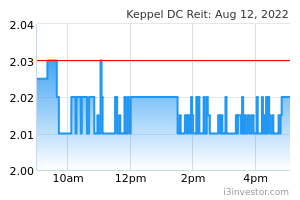 We do note that for Singapore properties – Keppel DC Singapore 1 saw a slight dip due to a tenant returning space (86.6% vs 87.3% in 2Q18) but the overall impact is small. Keppel DC Singapore 5's occupancy rate improved to 84.2% (vs 73.9% in 2Q18) and has achieved its occupancy capacity for the data-centre space at the asset, with the remaining vacancy being office space which is likely to be taken up only in the medium term. We understand that the tenant has yet to run at full force and contribution will continue to improve q-o-q as its operations are ramped up. We project Keppel DC Singapore 5 to deliver an initial yield of 7.8% when that happens from 2H19. The other data centres across its portfolio are substantially leased with long WALE and offer strong income visibility. Keppel DC REIT’s financial metrics remain strong, with average cost of debt still stable at 1.9% with 86% of the rates fixed. Keppel DC REIT will be renewing 19% (or close to S$130m) of loans expiring in 2019 which we believe should not be an issue to refinance. We believe that the opportunity will be to swap the debt into a foreign currency-denominated debt (EUR or AUD) given the REIT’s diversified earnings base to achieve a better natural hedge position. Overall gearing remained low at 32%, which empowers Keppel DC REIT to acquire more assets going into 2019. While not committing to an AUM target, the manager is reviewing opportunities in both new and existing markets as the REIT looks to bulk up and grow distributions and AUM.